After last week’s tough test at Merion–and firstly let us congratulate Justin Rose on his first of many major championships–the tour moves on to Cromwell, Connecticut for the Travelers Championship which is once again being held at the TPC River Highlands. River Highlands is a bit of a chameleon, the course opened in 1928 under the name of Middletown Golf Club, which later became known as the Edgewood Country Club. In 1982 Pete Dye completely redesigned the 6,841 yard track and finally in 1989 it went through another renovation this time undertaken by Bobby Weed with input from PGA Tour players Howard Twitty and Roger Maltbie. The course weaves its way through mature maple, oak, eastern white pine and sycamore trees, which help to frame the gently rolling fairways. There are numerous lakes, ponds and over 100 bunkers. The tough finishing stretch of holes from the 15th – 17th play around a four-acre lake – just to make things a bit more interesting! Hunter Mahan 14/1 will hopefully put the disappointment out of his mind when he tees it up in an event that he won back in 2007. He followed up his win with a runners-up finish at the Travelers a year later and another Top 5 finish the proceeding year. I am sure Hunter will look back at last week and realize he played some great golf and was leading in both putts and fairways hit, that combination should see him contending again this week. What a storming finish to the US Open Jason Dufner 22/1 had, standing on the 15th tee, five under for his final round before putting it out-of-bounds, which ultimately put paid to any chance he had of winning. But what it does show is that the lad from Cleveland, Ohio, is getting back to playing some of his best golf and when he’s on that form, he takes some beating. 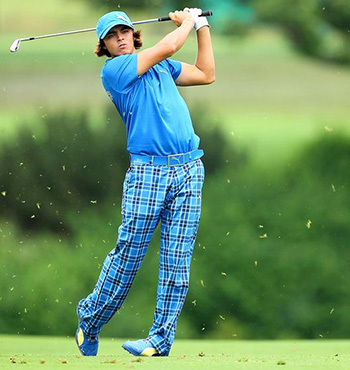 Rickie Fowler 25/1 comes into this event in good form and if he looks back on the US Open, he will see he was one of the guys who shot one of the lower scores of the event with his third round 67 to put him in with a shout of the Championship, but a final round 74 put paid to that. Rickie has had a couple of mid 60s rounds when he last played this event back in 2010 and I think will do well here this week. 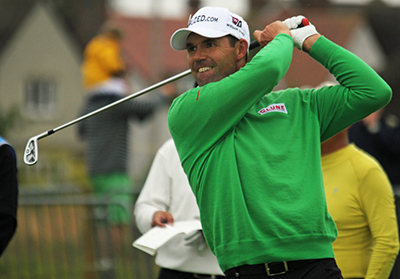 I think Padraig Harrington 35/1 must have tried every putting stroke and club out there in his drive to find his touch on the greens, but you know the dogged Dubliner isn’t going to quit, especially when the rest of his game is in such good shape. A Top 10 finish at last weeks tough US Open follows two other Top 10 finishes this year on the PGA Tour – he’s also missed four cuts, but this is a track Padraig seems to enjoy and had two Top 15 finishes in the last three seasons. 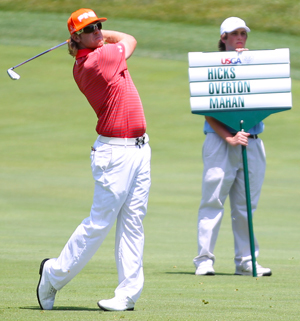 Another player who put himself in with a good chance at last weeks US Open Championship was Charley Hoffman 55/1, but a final round 79 destroyed that. But like all the players that contended last week, they will know what a tough course Merion was and will take the positives from their performances. For Charley that means turning up on a track where he was runner up last year and building on the form that put him in contention. This weeks outside bet is going to be Roberto Castro 100/1. I think Roberto must have been cursing the timing of this years US Open as the lad from Texas was on a bit of a roll, having made the Top 25 in his last two events to make that three Top 25 finishes in his last four tournaments. This is Castro’s second season on the PGA Tour after moving up from the Web.com tour and it looks like he has found something in the last couple of weeks to move his game on so hopefully he will keep this progression going.